Once again, collusion, deception, and fraud are being used to pass legislation at the State Capitol. Sadly, any legislative bill can be brought for enough money offered! A fraudster is someone who gets money by deceiving people. Follow the money to go behind the scenes and discover the players who are promoting the toxic water fluoridation, and you will then have your eyes opened. Big Money is involved all the way around! See below for information that could expose Delta Dental and their questionable practices of shuffling money to politicians around the country. The FBI may be interested in the information in this article and can be contacted in Little Rock, Arkansas at their Field Offices at 501-221-9100. Click here for the FBI’s Little Rock website. 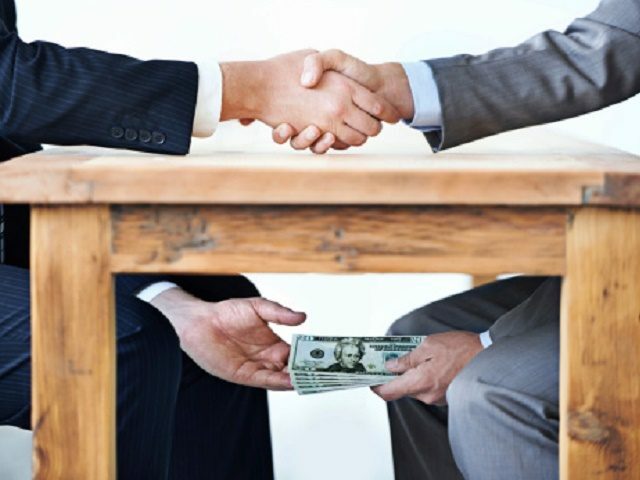 Public corruption is the FBI’s top criminal investigative priority. Still holding out, thank goodness! The Ozark Mountain Regional Public Water Authority (OMRPWA) plans to take their case to the Supreme Court! We’ve linked two articles from that timeframe and some excerpts directly below. Keep reading to follow the collusion. Despite admission by the Federal Government that American children are being over-exposed to fluoride, and that fluoride’s benefits are primarily topical, the Arkansas State Senate passed legislation on Thursday to force fluoridation on the entire state. This legislation will require cities to add unnecessary, untested fluoride chemicals into the water supply, clearly risking the health of many Arkansas residents. Fluoridation chemicals—often purchased from Mexico, China, and Japan—are waste products of the phosphate fertilizer industry that are often contaminated with arsenic and lead. These industrial-grade chemicals have never been tested for safety in humans or animals, and have never received approval from the U.S. Food and Drug Administration. While the Arkansas House and Senate rush to cast votes that will affect most residents of the State, the public’s voice has been excluded from the process. Oddly, the push for mandatory fluoridation in Arkansas comes in the wake of an historical shift in the U.S. fluoridation program. The decision, which comes at a time when many studies and reports are questioning the safety of fluoride, especially in children, is highly concerning. It is also based on neither the public support of Arkansans nor valid science, which is illustrated in part by the fact that the Pew Research Center for the People & the Press, a Washington D.C.-based think tank that claims not to take positions on policy issues, was one of the driving forces behind the initiative. And perhaps one of the reasons they avoid the science is because it proves fluoride is harmful. Many studies have shown that artificial water fluoridation is linked to thyroid dysfunction, bone damage, and lowered IQ, among other things (https://www.naturalnews.com/fluoride.html). “There are at least 24 studies that have found an association between lowered IQ and levels of fluoride in water as low as 1.9 ppm,” said Paul Connett, PhD, director of the Fluoride Action Network, a non-profit advocacy group devoted to exposing the truth about the dangers of fluoride. So, how does this affect Arkansas? SB 359, now Act 197 from 2011, is known as the water fluoridation mandate bill in Arkansas. Much of the entertainment and lobbying for the bill was done by Delta Dental through lobbyist DBH Management Consultants, and it appears that this was done to hide the true source of lobby funds given from Delta Dental and their other clients to DBH. Remember: Delta Dental is a client of DBH Management. To get around the election laws, DBH formed multiple PACs (Political Action Committees). There is no difference between the nursing home bribes from Michael Morton to Judge Maggio’s campaign funds that ended up in the judge going to prison and the Delta Dental bribes to the Arkansas politicians to get SB359 passed as Act 197! This is not the only case where Big Corporate Money came in and paid off the legislators to get legislation passed. Click here to read one of Secure Arkansas’ articles on Judge Maggio and the nursing home connection with several Arkansas politicians. There are still other politicians mentioned in this article who have not yet been charged with bribes in exchange for voting for favorable legislation for nursing homes. Bruce Hawkins, the DBH founder, was a former Arkansas State Senator who became a lobbyist, and he set up seven of those separate DBH PACs. We want to remind you that the predatory Delta Dental Foundation provided the grant money for the startup costs for all fluoridation installation, and the Delta Dental Plan of Arkansas transferred these startup costs to Delta Dental Foundation of Arkansas. Years ago, Secure Arkansas reviewed the 2011 IRS 990 filing of Delta Dental of Arkansas and found that Dr. Lynn Mouden was a Director of Delta Dental at the same time he was director of the ADH’s Office of Oral Health. The Harrison Daily Times also reviewed the filing and found Dr. Lynn Mouden’s name listed as a director of Delta Dental. This is a direct conflict of interest between the ADH, Delta Dental, and Dr. Lynn Mouden, Director of Oral Health of the ADH in 2011. Dr. Mouden moved on to become the Chief Dental Officer for the U.S. Centers for Medicare and Medicaid Services (CMS) in 2012. This con man has travelled from Weston, Missouri, all the way to Washington D.C! That’s quite a step up for a small town Missouri dentist! Update on Mouden: Mouden retired as the Chief Dental Officer for the U.S. Centers for Medicare and Medicaid Services (CMS) September 30, 2017. (Medicaid is a huge cash cow, folks!) He then went to work for Avesis, a Guardian Company. We are sure Avesis hired him to develop ideas for state-based Medicaid programs and for Medicaid and Medicare Advantage partners. Unfortunately, he also still holds three faculty appointments at the University of Arkansas for Medical Sciences (UAMS) in the Colleges of Medicine, Public Health and Health Related Professions. In the past, this man has proven to be unethical in order to get his way and move up the ladder. For more important information that you may have missed on Mouden, click here. Secure Arkansas is still holding the 6 affidavits which state that the reports Mouden used to promote the need for water fluoridation NEVER HAPPENED, meaning he falsified his reports! Click here for more information on Delta Dental. This practice of bribing politicians is still going on, in order to keep the public water supplies fluoridated. Delta Dental preys on greedy politicians and knows how to cover all their bases in government! SB 359 was passed out of committee. It takes 5 members to pass a bill out of the committee. Here are the steps the bill went through in order to be signed by former Governor Beebe, in order to become law as Act 197. Former Senator David Johnson. Currently, Johnson is the General Council of Central Arkansas Water. Johnson, the lead sponsor of Act 197, said he became convinced that everyone should have fluoride after reading a report on dental health done by the Pew Research Center, a Washington think tank. The PEW Report that gave Arkansas an “F”! The PEW Report that has been so widely used but is proven not to be accurate! Even the Arkansas State Dental Association (ADA) had issues with the PEW report. (A Power Point will be downloaded to your computer. See slide 2 for info.) The ADA stated that six out of the eight benchmarks was PEW’s opinion with unproven efficacy. PEW had a lot of collaboration with appropriate state officials which resulted in erroneous findings for Arkansas. ADA stated that they don’t agree with everything in the report. Click here to see the Fluoride connection between the CDC (Centers for Disease Control) and PEW. The whole PEW report behind Act 197 was based on fraud! Former Senate Pro Tem Michael Lamoureux, ALEC member and was a member of the board of directors there, then went on to become Gov. Asa Hutchinson’s Chief of Staff but had to resign. Now a lobbyist with Washington Advocacy Group in Washington D.C., headed by Texarkana Attorney John Goodson (married to Supreme Court Justice Cortney Goodson). One of their clients is RJ Reynolds. Lamoureux is also a registered lobbyist to DBH Consultants of Morrilton that is headed by former Representative Bruce Hawkins (who loaned $30,000 to former Senator Jake Files). In another case Files received a $80,000 wire transfer to his FFH Construction business on November 24, 2014, from David L. Norsworthy of Arkansas Superior Select (Nursing Home business). It appears that this $80,000 wire transfer was connected with SJR 8 on which Files was a co-sponsor. SJR 8 was a tort reform bill which was heavily supported by the nursing home industries in which David Norsworthy and Michael Morton have a huge interest. Former Senator Gilbert Baker, ALEC and was indicted by federal grand jury on Friday, January 11, 2019 on conspiracy, bribery, and wire fraud. Click here to view the nine-count federal indictment. Baker was connected to a scheme involving former Faulkner County Circuit Judge Mike Maggio. Maggio was convicted of bribery and sentenced to 10 years in a federal prison in 2016. The Pew Report was the main report that the lobbyists used in persuading the legislators to pass SB359. This was a fraud since six of the eight items in the report did not apply to Arkansas. (h) (1) Any person criminally convicted for violation of any provision of Ark. Code Ann. § 21- 8-607(a) or (b) shall not act as a lobbyist for three (3) years from the date conviction and shall be subject to a fine of not less than $100 and not more than $1,000. (2) Any person violating this three (3) year ban will be deemed guilty of an additional violation of subchapter 6 of chapter 8 of Title 21. UAMS joined several health advocate organizations in support of the bill, including the Arkansas State Dental Association, the American Dental Association and Arkansas Advocates for Children and Families. All of the Arkansas Water Districts were threatened by ADH that they must enter into and sign a contract with Delta Dental for the start up money needed for public water fluoridation, mandated by Act 197. The problem is that for a contract to be legally binding or valid, an agreement must be formed between two parties. Any contract that lacks an agreement between the two parties is NOT VALID. A water district cannot be forced to sign any contract with which they don’t agree, due to threats by any individual, group, or government agency. Reminder: The SENATE PUBLIC HEALTH, WELFARE AND LABOR COMMITTEE in 2011 was the committee that pushed and passed SB 359, the fluoride mandate legislation. This was an Act to mandate fluoridation in all systems that serve 5,000 or more. For the 2011 Arkansas Senate Vote on the Fluoride Mandate SB359, click here. 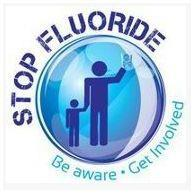 For the 2011 Arkansas House Vote on the Fluoride Mandate SB359, click here. So, what’s been happening lately regarding water fluoridation? Some news from last week (March 2019): The skilled actor/player Senator from Berryville, Bob Ballinger ran a good bill, SB 604, in the Senate Public Health Committee … yet, the problem is, it looks like he knew that this good bill had NO CHANCE in this corrupt committee. Secure Arkansas sees this as a charade in order to please his outraged constituents in his area that are concerned about the hazardous water fluoridation, knowing all along that his 8 negligent Senate buddies would never vote in favor of this good bill because they are all dominated by their master manipulators in the American Legislative Exchange Council (ALEC) that promote toxic water fluoridation. Ballinger (ALEC) and the committee put on a phony show like always, but regretfully, the fine folks that travelled to the Capitol to testify about the dangers of fluoride, from all across the state, left disappointed once again because there was no rebuttal allowed. Could they be afraid to let the truth come out? Note: you may recall that Attorney/Senator Bob Ballinger from Berryville represented Ecclesia College and is still hiding records on how the GIF money was spent and how many other legislators were involved in the corruption. In closing, it seems that we cannot get GOOD bills through this Senate Public Health Committee and haven’t for years, and it appears that the committee is working for the lobbyists and not for we, the people.